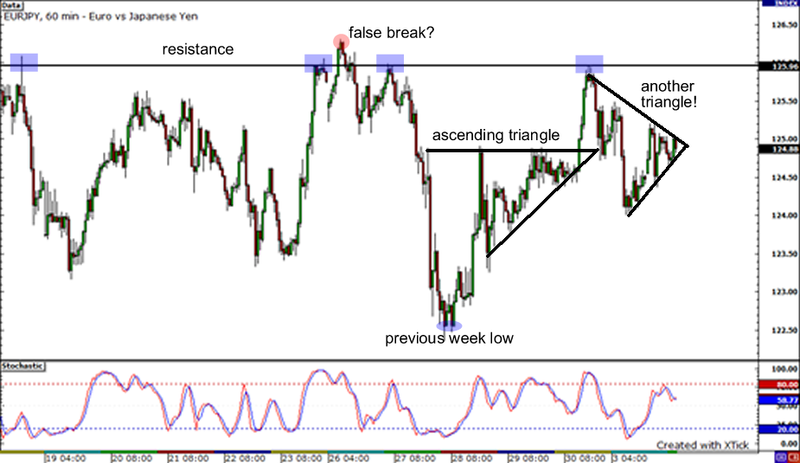 First, let’s check out the EURJPY 1-hour chart where I spotted, not one, but two triangle formations! The first one, which was an ascending triangle, formed last week and broke out upwards to sketch a nice symmetrical triangle. With stochastics in neither the overbought or oversold area, the pair could head either way. If it breaks out to the top, its rally could come to a halt upon hitting the resistance near the psychological 126.00 handle. On the other hand, if it breaches the bottom of the triangle, it could tumble all the way down to its previous week low of 122.36. 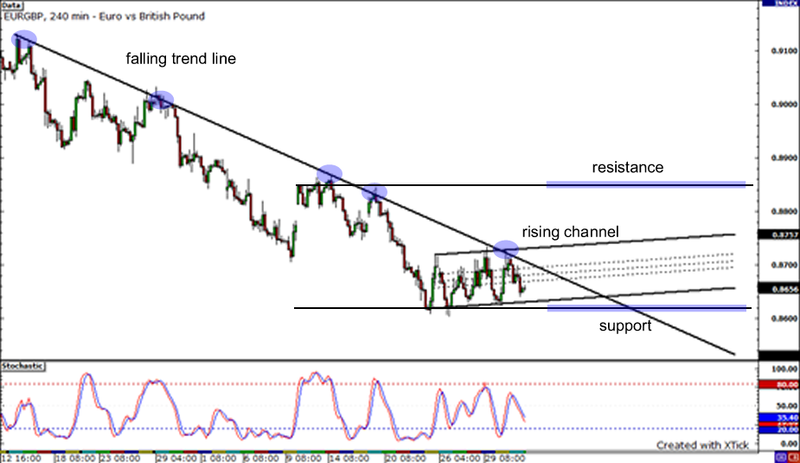 Moving on to the EURGBP pair… There’s a falling trend line connecting the highs of the price on the 4-hour chart. At the same time, the pair has been moving within a rising channel for the past few days. Would it go for a breakout soon? If it breaks past the top of the channel and above the trend line, it could shoot up until it encounters resistance around 0.8850. But if the trend line continues to hold, the pair could slide down and find support at the bottom of the channel or possibly at the psychological 0.8600 mark. 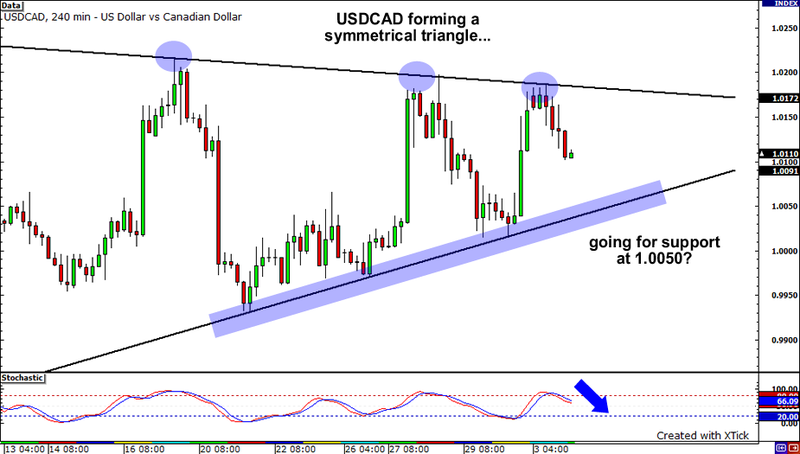 It looks like the USDCAD is attempting to form a huge symmetrical triangle formation. Notice how the pair was able to find resistance for the third time from the declining trend line that I drew. Judging from the direction of the stochastics and the very bearish red candles, it seems like sellers are trying to push price towards the rising trend line. With that said, keep an eye out for support at 1.0500. If candles convincingly close below this level, we would probably see the pair fall towards the 0.9950-0.9975 region.